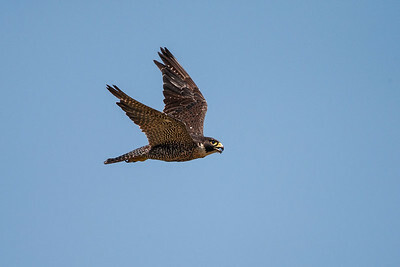 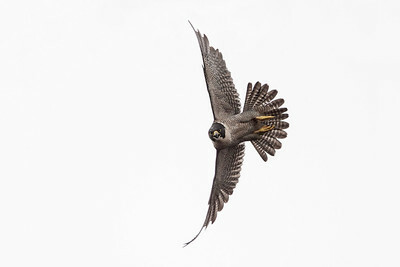 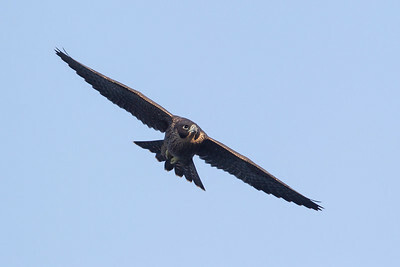 Adult female falcon in flight. 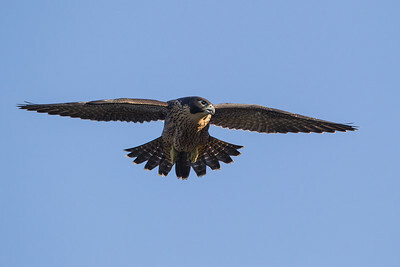 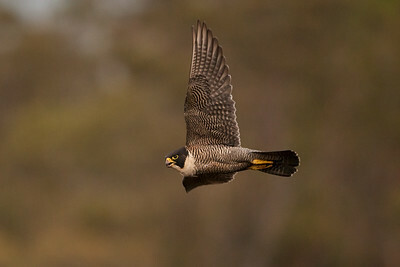 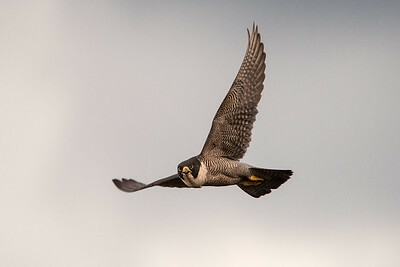 A Peregrine Falcon in flight. 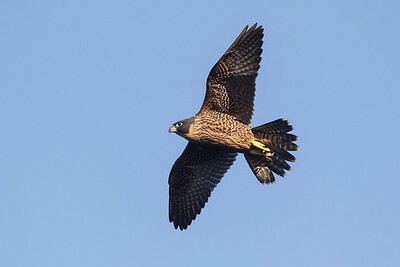 An adult female falcon in flight. 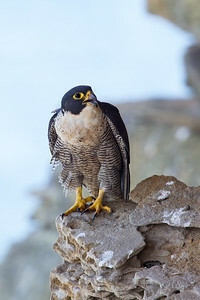 Adult female on rock ledge. 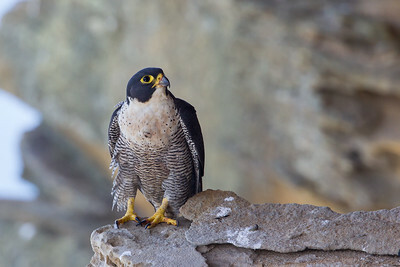 A female falcon on a rock ledge. 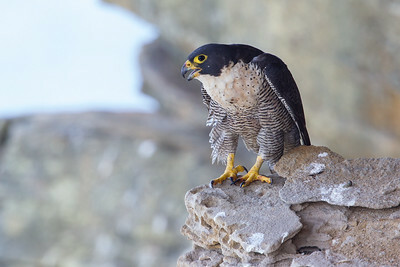 A female falcon on a ledge. 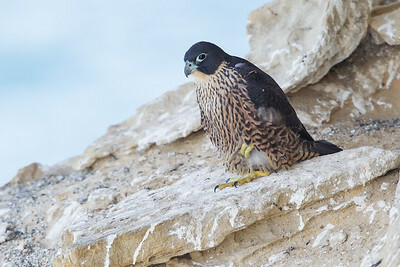 Juvenile falcon on a ledge. 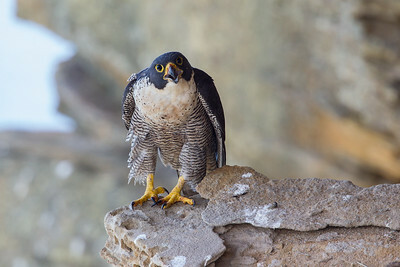 Female peregrine on a ledge. 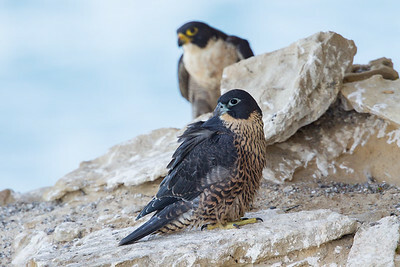 A female (back) and juvenile falcon. 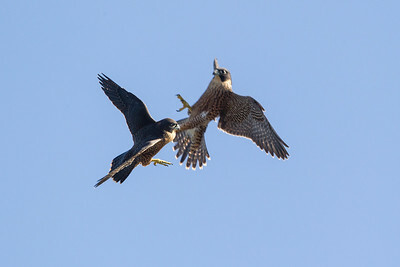 Two juvenile falcons learning some fast flying tricks. 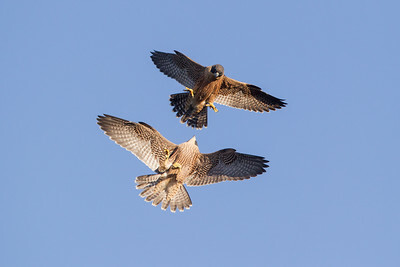 Two juveniles learn important flight skills. 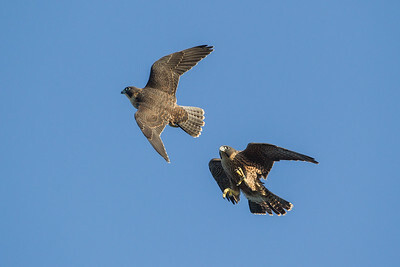 Juvenile peregrines learning some flight skills. 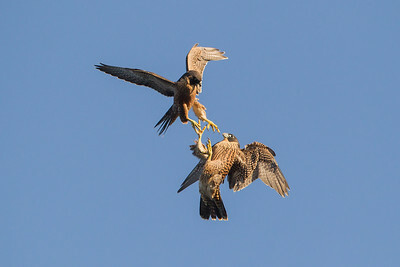 Juvenile peregrines learning to fly. 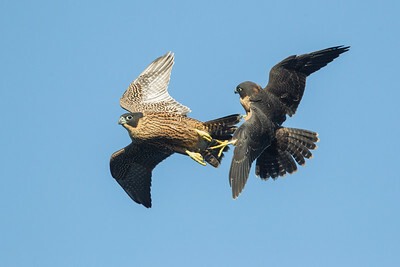 Two juvenile falcons learning flight skills. 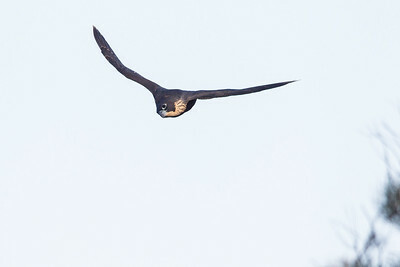 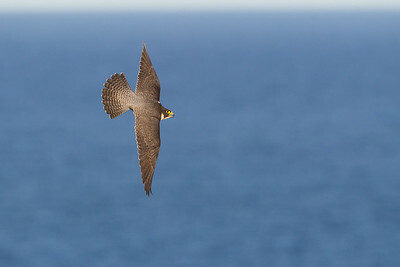 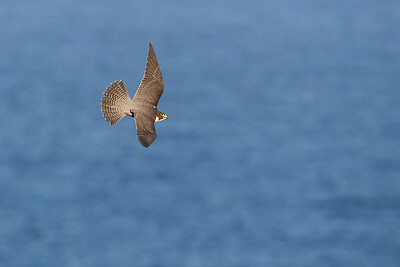 A female peregrine flying by.